Their reactions are just priceless. "That's my mom!" was all this young man can be seen mouthing to the camera when it landed on them. The kiss cam -- which projects couples onto a big screen in the centre of the court at basketball games, prompting them to have a good smooch for the audience -- landed on the pair at the Milwaukee Bucks? game in Wisconsin. The Milwaukee Bucks posted the footage on its official Twitter account with the caption: "Awkward Kiss Cam Moment Number 324." 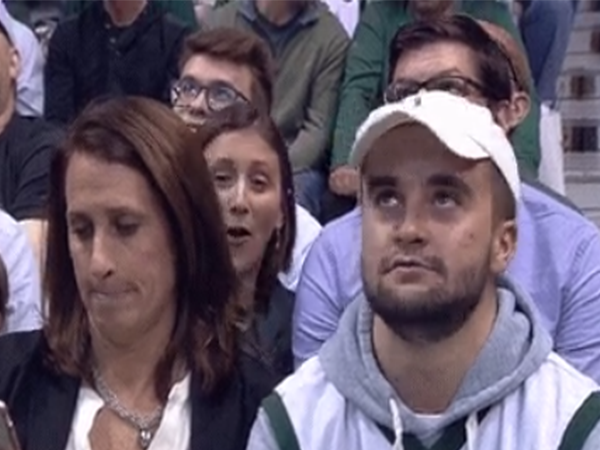 Behind the mother and son, you can see other members of the audience recoil in horror and amusement at the Kiss Cam. Definitely an example of kiss cam going very wrong!